Process Mining techniques require event logs which, in many cases, are obtained from databases. Obtaining these event logs is not a trivial task and requires substantial domain knowledge. In addition, the result is a single view on the database in the form of a specific event log. If we desire to change our view, e.g. to focus on another business process, and generate another event log, it is necessary to go back to the source of data. 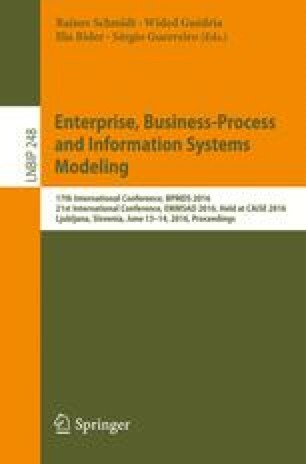 This paper proposes a meta model to integrate both process and data perspectives, relating one to the other and allowing to generate different views from it at any moment in a highly flexible way. This approach decouples the data extraction from the application of analysis techniques, enabling its use in different contexts.